Your wedding day is possibly the most complicated and emotional event you’ll ever organise. It’s a day you’ve dreamed of for months, possibly years, or even your entire life! It’s important to find the right wedding DJ to help you create memories of your special day. Let me take the stress out of organising your wedding entertainment for you by being a part of that dream…..it’s what I do best! As a wedding DJ, I know and understand how important getting things right on your wedding day is! To me, each wedding I entertain at is important and I work hard to make the entertainment at YOUR reception as unique as your big day itself. Your wedding is never just another date in the diary! 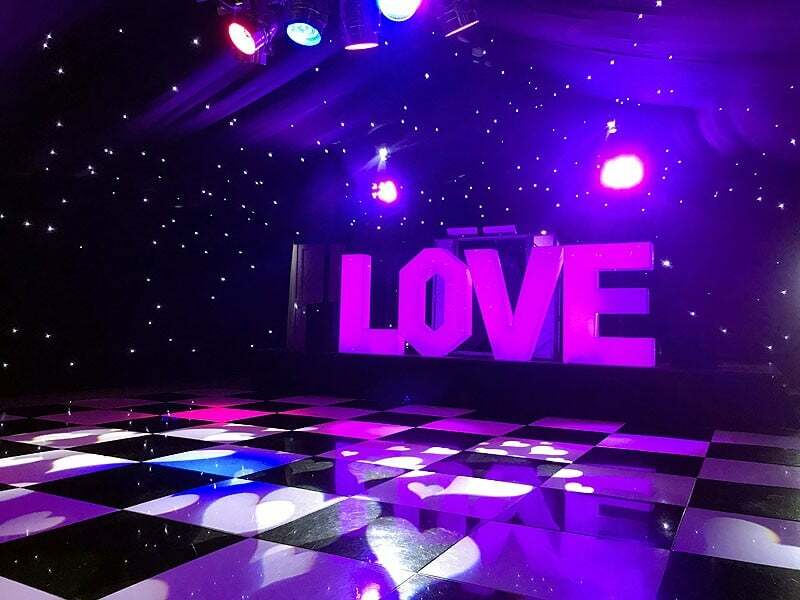 You hopefully only ever marry the once, and it’s important that your wedding DJ is experienced and professional enough to provide the right atmosphere on your big day. My job is about fulfilling your dreams for your wedding day. You quite rightly want your wedding day to be perfect. I want exactly the same thing! 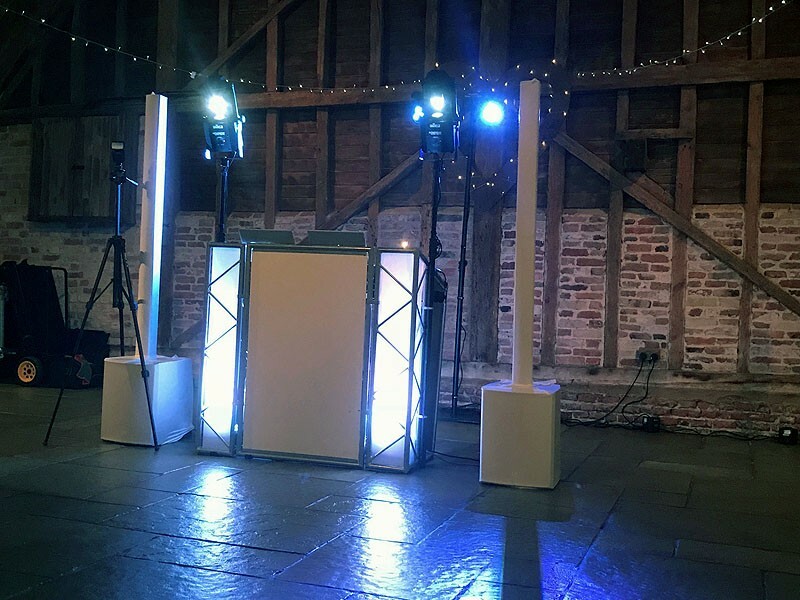 As an experienced wedding DJ, entertaining is my full-time job and I can’t stress enough how important it is that every wedding I work at fulfils the hopes and dreams you’ve been expecting for the day. It’s hard to put into words on a web page, but I really DO care an awful lot about each and every wedding I work at. And it’s something I achieve every time I work at a wedding! It’s also about creating memories that will last a lifetime! Your photographer has an important job at your wedding….by capturing the shots of happy, smiling guests enjoying your day. I help to create those natural happy faces for your photographer to snap in the first place. So, why choose me over the endless supply of often lower-priced wedding DJs for your big day? That’s a really good question, and one you should definitely be asking. Your wedding DJ has an important role to play, even if it’s only filling the dance floor during the evening reception. I pride myself in going the extra mile to provide the very best wedding entertainment I possibly can. I don’t overpromise (I’ll certainly never tell you I can do something when I can’t), and I NEVER try to “upsell” other services after you’ve booked me…I really don’t believe in working that way. Or how about this feedback from the mother of one of my recent brides? Most of my bookings come from word of mouth recommendations from previous customers just like you, their guests, and venues I’ve worked in, and that’s something I’m REALLY proud of because it means I’m doing my job right! That all sounds brilliant! How much does it cost? That’s the all-important question. It costs a lot to run a mobile disco service in this day and age and I try to keep my prices competitive….but still have to earn a living from what I do. Weddings can be particularly hard work and a LOT of hours in preparation before I even arrive. My fee for an evening reception of up to 5 hours of entertainment starts at just £450 depending on what’s required and how far I need to travel to your venue. This is my most popular package and I’m often booked between 6 and 12 months in advance for popular dates! Background music during drinks reception & photos. Background music during the wedding breakfast. Ceremony music (inc. prelude, procession, register and recession). Informal Master of Ceremonies duties all-day. All bookings require a booking contract to be signed and payment of a non-refundable deposit of £50. The balance of payment is due 14 days before the date of your party. Accepted payment methods are Bank Transfer, or Credit/Debit card via PayPal (no PayPal account is required). Sorry, I don’t accept cheques or cash on the day. For a chat about YOUR wedding plans, why not get in touch and let’s start planning a day the you and your guests will talk about for years to come! Or, fill in the few details below and I’ll get back to you as soon as is humanly possible! Unfortunately, I can only be in one place at a time and I’m often booked up to a year in advance (sometimes further than that!). I turn away more bookings than I take on as a result so please don’t leave booking your dream wedding entertainment until the last minute…I might not be available! What does the disco look like? The “look and feel” of the equipment varies from wedding to wedding. 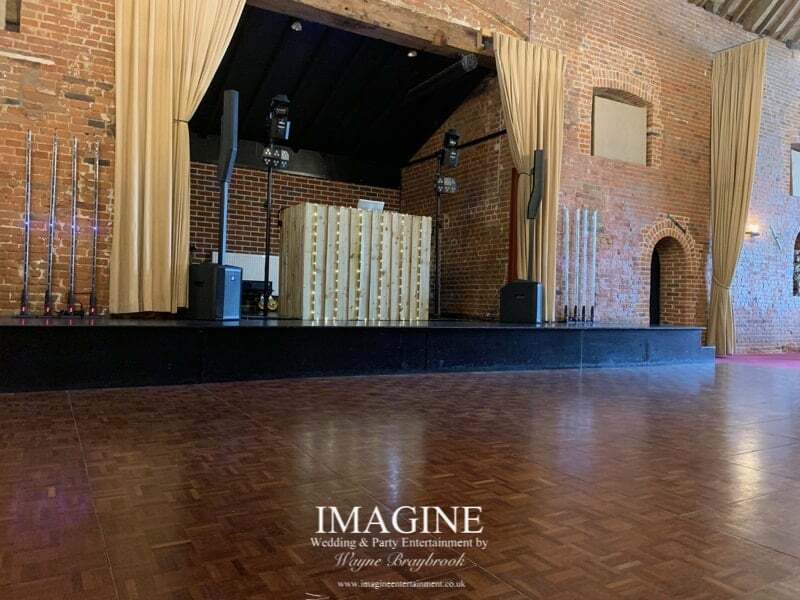 I have a LOT of equipment at my disposal and I try my best to use a sound and lighting setup which will compliment your venue, the number of guests attending and of course, the amount of space available to me. 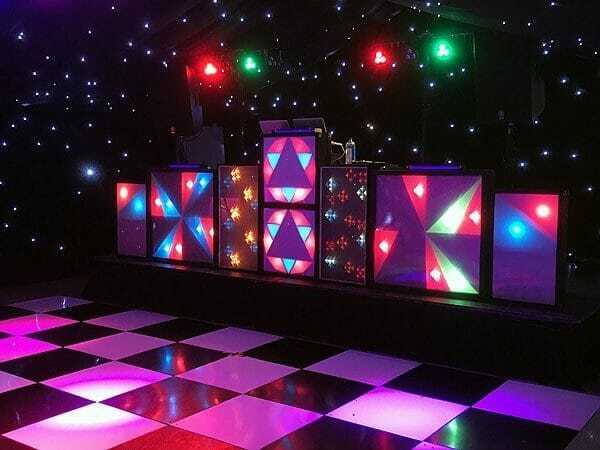 Below are just a few examples of recent wedding setups to give you an idea of how things could look for your wedding disco. 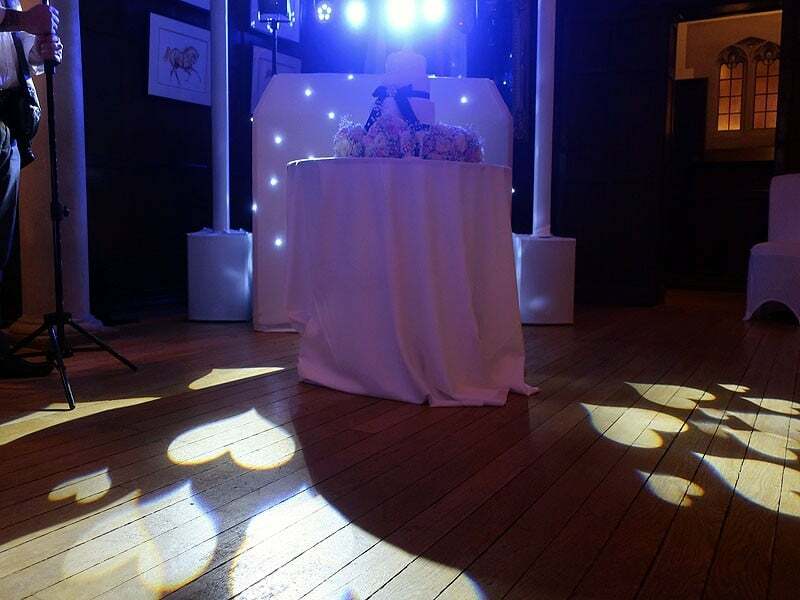 Of course as with everything to do with my service, the different setups can be mixed and matched to suit your exact requirements and style of wedding. My second wedding of the week last night happened at my favourite local venue, The Old Hall in Ely. And what a night is was! 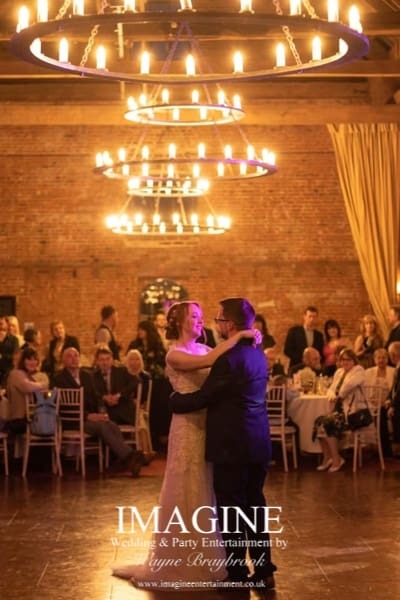 A perfect wedding in a beautiful Norfolk barn. This is a wedding I’ll remember working at for a very long time to come! My final wedding for the 2018 season and a party to remember for a VERY long time to come…an absolutely AWESOME night! A small and intimate reception in a beautiful venue, and a huge difference in musical tastes! 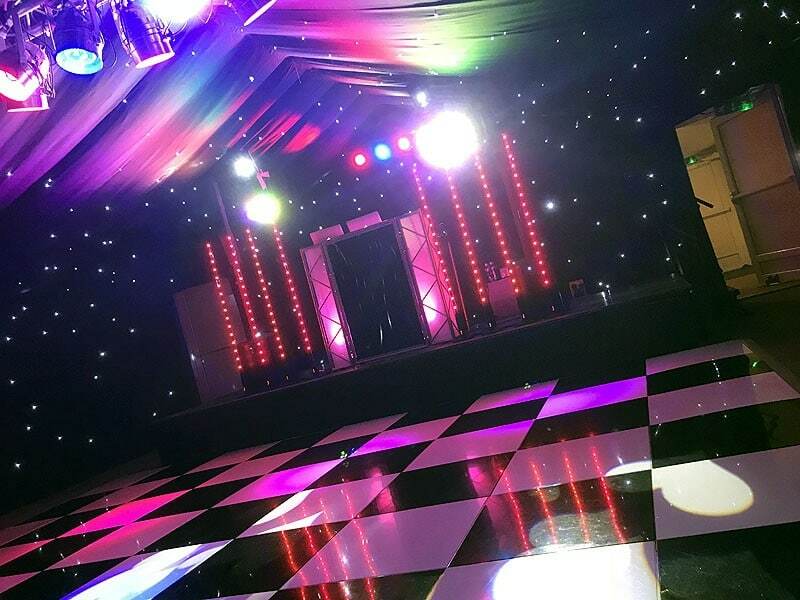 Sam & Dan’s evening party was one to remember! Anglo-French weddings are ALWAYS a lot of fun and involve a lot of dancing. Amy & François’s evening reception was certainly no exception to this rule!